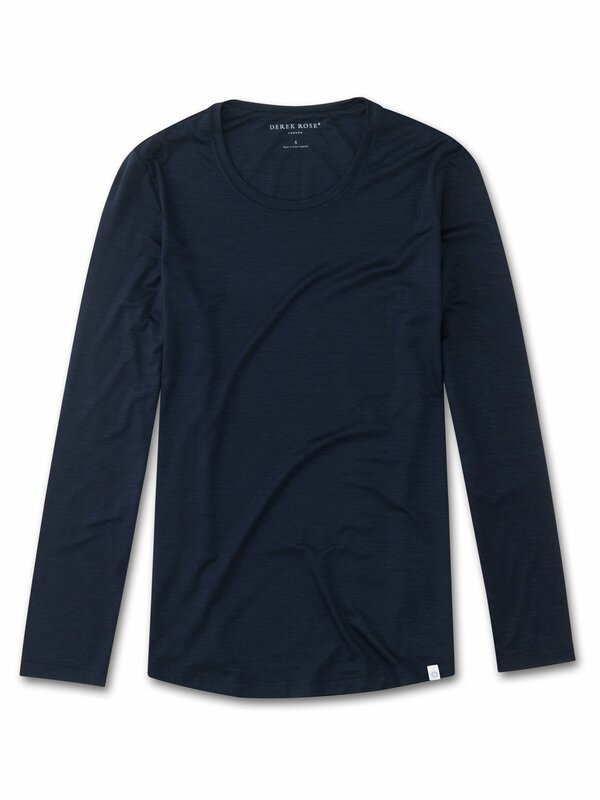 Our midnight blue Carla long sleeve top has a relaxed but flattering fit with a curved, loose hem - making it the perfect tee to wear at your yoga class or casually on the weekend. Not only is the Carla soft, but thermostatic properties in the micro modal fibres allow them to react to changes in temperature and regulate your body heat, making this luxury tee ideal for yoga, leisure or sleep. What's more, the Carla fabric retains its initial softness and bright colour and is also environmentally friendly; made from sustainably forested European beech trees using a process that is carbon neutral.